This post originally appeared in the February 2019 edition of my newsletter Readiculous Musings. You can subscribe for it HERE. One thing I’ve always liked about how other authors do their newsletters is that they share their writing process! As a fan who is also a writer, this is always super interesting to me. So I thought I’d share with you all how I plot my books. 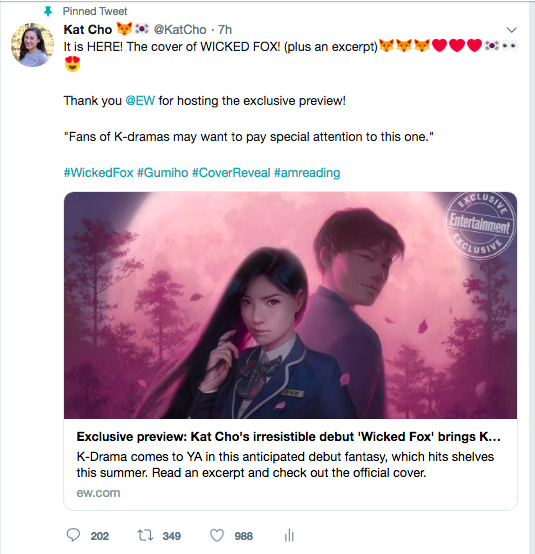 Jan 23, 2019 Uncategorized Comments Off on Wicked Fox cover reveal! Hi all! If you follow me on social media then you probably saw me shouting from the rooftops about my cover reveal for WICKED FOX. If not, then here is me shouting about it! Time for an end-of-the-year post where I talk about all the things that have happened this year and all the things I hope for the new year! 2018 has truly been a wild year for me! I got a book deal, I moved to NYC, I got a new job! I was also lucky this year because I read and watched a lot of amazing things. So I thought I’d share some of my favorites with you all! New Co-Host on Write or Die (WorD) Podcast! 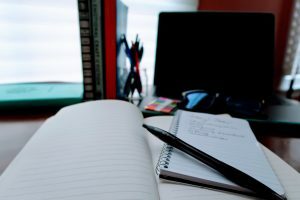 Nov 16, 2018 Author Life, community, Writing Comments Off on New Co-Host on Write or Die (WorD) Podcast! Hi everyone! I wanted to write a post because I have a really fun announcement. My good friend, Claribel Ortega, has long been an up-and-coming voice in the publishing world. She started a podcast, Write or Die Podcast, this year to highlight the journeys of writers and their struggles to achieve their dream of being published authors. This post originally appeared in the September 2018 edition of my newsletter Readiculous Musings. You can subscribe for it HERE. This summer I had an awesome August full of things that give me such joy and hope as an Asian reader and creator! I grew up without seeing myself in mainstream media and I never knew how it affected my perception of myself until I went away to college and encountered large groups of peers that looked like me for the first time (I grew up in a predominantly white area). So, I am stealing an idea from my writer BFF, Claribel Ortega and posting some of my content a month after it appears in my newsletter. It won’t be everything, just stuff that I think might be interesting to people and probably anything that is a record of my journey in publishing! So here we go! This post originally appeared in the July 2018 edition of my newsletter Readiculous Musings. So, I was inspired by my own revisions to write out a quick post based on my methods and path toward shiny happy manuscript town. To be honest, I still live in revision land which I describe as a a town sitting on a giant cliff (good for screaming into the void), a cave of despair, and a fountain of wine. 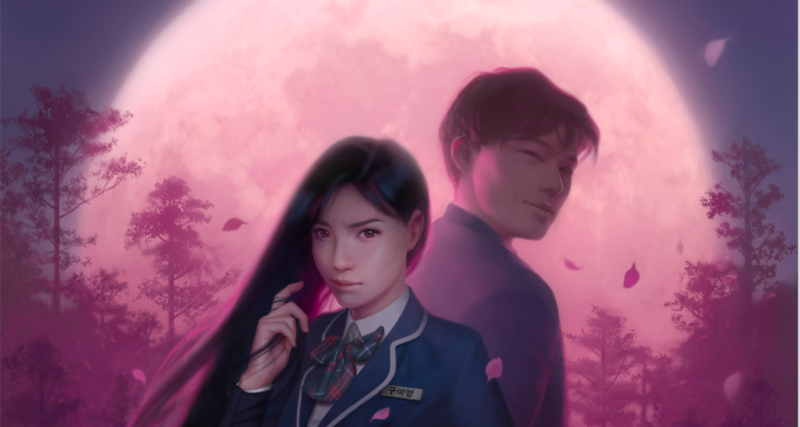 Book Recs for Asian Pacific American Heritage Month! May 14, 2018 reading Comments Off on Book Recs for Asian Pacific American Heritage Month! Hi all! 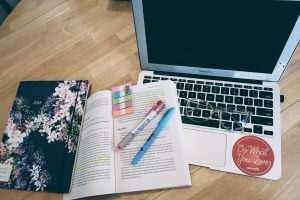 I know that this blog is supposed to veer more toward my journey as an author, but I figure reading good books lands solidly in the realm of being a good author. After all, if we’re not reading widely then we’re missing out on the chance to be inspired by all the amazing stories out there! So, since May is Asian Pacific American Heritage Month, I thought I’d give some recommendations for Asian American and Pacific American authors that I’ve been really into lately! Newsletter & New Website Design! Hi all! Do you notice anything different about the website? If you answered, “It’s completely different Kat, duh. That’s so obvious.” Then you’re right! I got a brand new website design courtesy of the amazingly talented Tessa Elwood at ipopcolor. She was an absolute dream to work with and I owe all of the gorgeousness here to her! Another thing I’ve finally started up is my author newsletter! I am hoping it’ll be a chance for me to share an in-depth view on my debut journey and beyond! I’M GOING TO BE PUBLISHED! You guys, I’m going to be published!